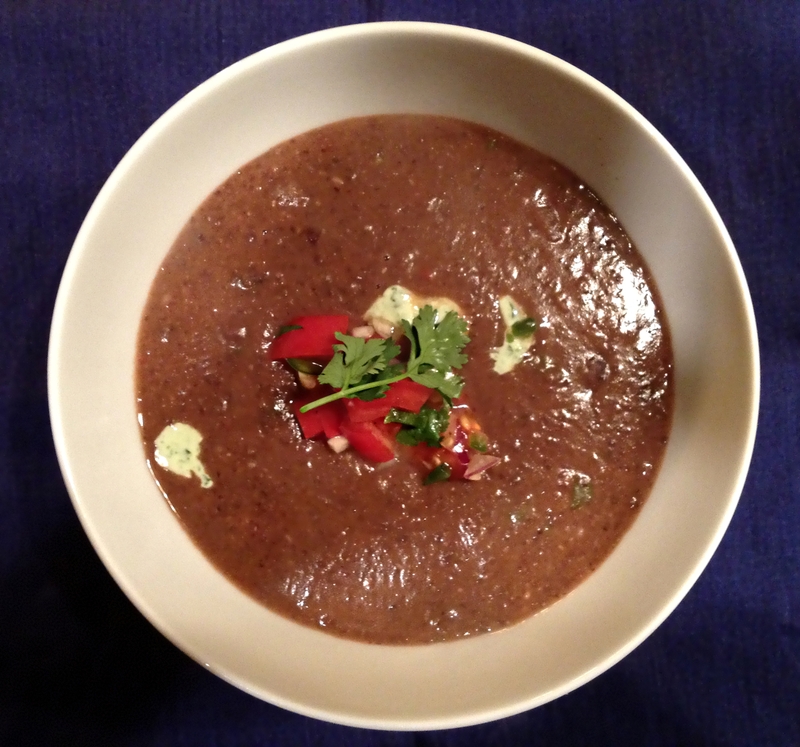 I highly recommend using dried black beans for this soup. However, canned beans can be substituted if you would like to make this soup quickly. You may think the quantity of spices looks high. I have found that black beans tend to require a heavier hand with the spice jar if you really want to taste the flavor of the spices. I like to garnish with cilantro lime crema, and pico de gallo or mango cucumber salsa. However, any of the following would make terrific garnishes: crumbled tortilla chips, minced red onions, pickled onions, diced avocado, sour cream, freshly squeezed lime, cheese, cilantro . . .